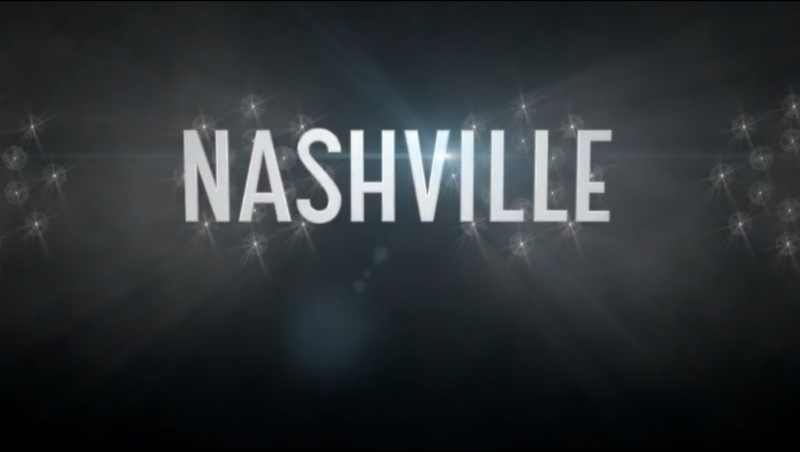 Nashville is a show about country music and the whole world behind what goes into it. From the offset we’re introduced to three main singers/artists who all have their own style and all have their niche with in the country music genre. I’m not an expert on country music but I do love listening to it and the songs always tell a story. They have a beginning and they have an end and country music explains the story in a way other genres can’t. This is what Nashville does well. All the songs they sing are originals and have been wrote for the characters and for the show. This element sets it apart from other singing TV shows like Glee because its all original from the get go. The songs aren’t bad either, they could just have easily been songs released by an artist like Miranda Lambert etc. The first of the three singers is Rayna James, played by Connie Britton. Rayna is a longtime country music singer who used to tour with her one time boyfriend, Deacon. She sings traditional country songs but she’s losing her grasp on the people. She just isn’t as popular as she once was and she’s trying to get back on top. Her husband is, at the point I’m at in the season, still running for mayor. Their family is ‘cash poor’. Next is Juliette Barnes, played by Hayden Panettiere. Juliette is the big star, she’s at the top and she loves it. She sings a kind of country that borders on Pop but you can tell it isn’t the kind she wants to sing, she just sings it because its what the record label tell her to sing. The music she wants to sing happens when she first writes a song with Deacon. Her mother is a drug addict and Juliette has a wall up around herself. She’s got a hard exterior but finds it hard to let people in and this is what gives her character likability, she’s not just a puppet she has her own emotions they’re just a bit deeper than most. Last up is a duo, Scarlett O’Connor who is played by Clare Bowen and Gunnar Scott, played by Sam Palladio. They’re the undiscovered talent and I think they just might be the best singers on the show. They were singing together and a man who is working with Rayna just happened to be in the room. He gives them an offer thats put them on a track to becoming actual recording artists. Scarlett and Gunnar aren’t in a relationship, yet, but they have to be because they’re undeniably attracted to each other. They’re friends but Scarlett has a boyfriend and now Gunnar is recently seeing Hailey. They can’t see that they like each other but they probably feel it. I’m only on episode six, at the time of writing this but I can see why people like it and why it’s been renewed for a second season. I’m just worried about how the second season is going to sound now that they’ve lost their executive music producer.